Stephen Evans, SCB’s head of private banking for Europe, Middle East, Africa and South Asia, reveals why Dubai is set to become a global private banking hub. 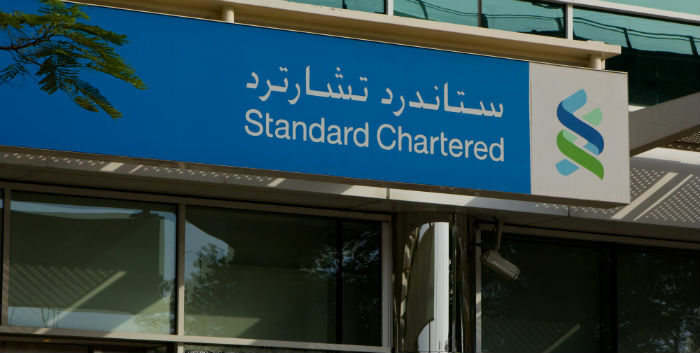 The private banking arm of Standard Chartered Bank expects to grow its assets under management from Middle Eastern clients by double-digits this year as the region’s wealth soars with oil-fuelled growth and the bank capitalises on its existing entrepreneurial family client base. Standard Chartered Bank (SCB), which generates most of its income from Asia and the Middle East, expects its private banking unit to emulate the growth recorded in 2012, when assets under management (AUM) in the Middle East grew around 14 per cent and revenue rose 16 per cent from a year earlier, says Stephen Evans, SCB’s head of private banking for Europe, Middle East, Africa and South Asia. The bank, which has had a 90-year presence in the Middle East, is counting on its strong family office client base involved in commercial and investment banking to grow its private banking business. “We are targeting high net worth entrepreneurs and professionals, and more than 60 per cent of our client base are entrepreneurs,” says Evans. cent to $4.8 trillion in 2012 from $4.4 trillion in 2011, based on a wealth report released by the Boston Consulting Group (BCG) in May. This growth in the Middle East, similar to a trend in developing economies, has attracted a number of pure-play private banks to set up base in the region and commercial banks to expand their private banking arms. Coutts, the private wealth unit of RBS Group, Royal Bank of Canada, Citigroup, and others have expanded their operations in the Middle East to try and capture this growth. For SCB, it wants to play on the strength of its commercial and investment banking services and also its trading abilities in Dubai, which is becoming a major booking centre for the private bank’s Middle East clients. It has also introduced Islamic private banking to tap the Sharia-complaint investors in the region. Geneva, globally, is the biggest booking centre but assets held in the Swiss city and London are expected to drop over time. SCB private bank is booking between 25 to 30 per cent of Middle Eastern clients’ assets in Singapore, 25 to 30 per cent in Dubai, and the remainder into Geneva, London and Jersey, he said. While Singapore is attractive for its stability and strong economy, Dubai is an important booking and advisory centre due to the bank’s large commercial and investment presence in the UAE. “A lot of clients in the Middle East actually travel to China and into the Far East to source goods and services. Singapore is a convenient place to bank, a convenient offshore banking centre because it corresponds where they go for business,” says Evans. Geneva, globally, is the biggest booking centre but assets held in the Swiss city and London are expected to drop over time, according to the BCG report. Switzerland is set to remain the largest single offshore centre globally, with about 25 per cent of total offshore wealth by the end of 2017, compared with 26 per cent in 2012. Singapore, in second place, is expected to increase its share from 10 per cent to around 12 per cent. Asia-Pacific offshore centres will become more prominent, and are projected to hold roughly 18 per cent of global offshore wealth by the end of 2017, compared with 15 per cent in 2012, with European offshore centres’ share dropping to about 55 per cent from 58 per cent in 2012, the BCG report said. “Domestic private banking is becoming increasingly important. With clients in the Middle East, 60 per cent of their wealth is onshore, and unless you can respond to their onshore requirements, you are only with them on half of the game,” says Evans. Offshore wealth, defined as assets booked in a country where the investor has no legal residence or tax domicile, rose by 6.1 per cent in 2012 to $8.5 trillion, with Western Europe the main source and Switzerland the most popular destination, the BCG report said. Despite this increase, stronger growth in onshore wealth led to a slight decline to 6.3 per cent from 6.4 per cent, compared with 2011 in offshore wealth’s share of global private wealth, it said. Offshore wealth is projected to increase moderately over the next five years, reaching $11.2 trillion by the end of 2017, it added. Ultra-high net worth individuals, with wealth of $100 million or more, form a big percentage of the millionaires in the region who want private banks to help them not just in investing their wealth, but also in providing other services locally. The average age of a millionaire in the Middle East is 32, according to Evans. Private banking in the Middle East has room to grow because its share of private wealth business remains small and booking centres in the region are still nascent. The Middle East region, has a high number of millionaires, and many of them are young. The average age of a millionaire in the Middle East is 32, according to Evans. Globally, the highest density of millionaires is in Qatar, where 143 out of every 1,000 households had private wealth of at least $1 million, followed by Switzerland, Kuwait, Hong Kong, and Singapore, according to the BCG report. “Our clients don’t differentiate, like some banks like to think they do, between their private and their incorporated wealth and they want you to help on both sides, and that’s one of the key trends,’’ says Evans. “The old model of boutique private banking is taking a back seat. What people want is joined up private banking with the ability to provide value in the commercial banking space and investment banking space from the private banker.